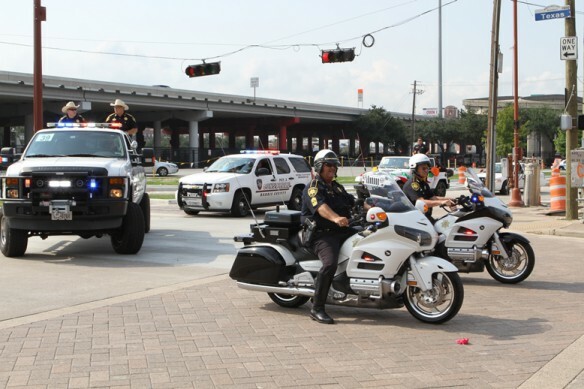 The Harris County Constable’s , Precinct 1 Reserve Command possesses a tradition of providing trained and qualified personnel to assist the Constable in meeting Harris County law enforcement and emergency response needs. Reserve deputies supplement the law enforcement manpower of the Harris County Constable’s Office. Reserve deputies are professionally trained and duly sworn law enforcement personnel and are certified officers pursuant to the State of Texas minimum standards and training for Law Enforcement Officers set by TCOLE. In most cases, Reserve Deputies are assigned to the same duties of full-time deputies, including Patrol, Criminal Warrants, Mental Warrants, Civil Process, Building Security, and Communications to name a few. Since Reserve Deputies have the same powers of arrest as full-time deputies, they are required by law to meet the same hiring, background, medical and psychological standards as full-time deputies. Deputies accept that they volunteer their services and are not monetarily compensated. Other departments throughout the nation have created similar programs as an effective way to increase available personnel without capital expenditures. The monetary savings of the Reserve Command to Harris County is significant. Current members are citizens from all walks of life and form the Harris County Constable’s Office Reserve Command. They include engineers, mechanics, students, teachers, corporate managers, and lawyers. Some reservists previously worked as regular law enforcement officers and many regular deputies began their career as a Reserve Deputy. The Harris County Constable’s Precinct 1 Reserves is a non-profit 501(c)(3)organization. The Reserve Unit is very active in Harris County and is comprised of Reserve Deputies who work on a volunteer basis under the auspices of Constable Alan Rosen and under the direction of Deputy Chief Raymond Neal. As a non-profit (501)(c)(3) tax-exempt organization, we welcome your donations which enable the Reserves to purchase much needed equipment and tend to other business related activities enabling us to serve the citizens of Harris County.